6000 Indian Creek is a prestigious condo community featuring 34 charming residences, with a few different floor plans to choose from. Splendid, unobstructed views of the city and bay, full marble showers, balconies with glass railings, and flow-through layouts are just a few of the exceptional features residents enjoy. 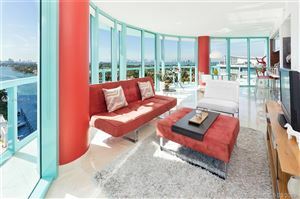 With an ideal location on Indian Creek, nestled near Ocean Drive and even closer to the sand, this Miami Beach property is a place to be. Explore its real estate listings below.